While the real estate market is traditionally slow to change, it is now embracing the Internet. Here are some thoughts on how the Internet has affected property management. Nearly every profession has been affected by the rapid pace of technological innovation. Technology has created entirely new fields, eliminated some fields and dramatically altered others. One profession that you might expect to be relatively insulated from the intrusion of technology is property management. 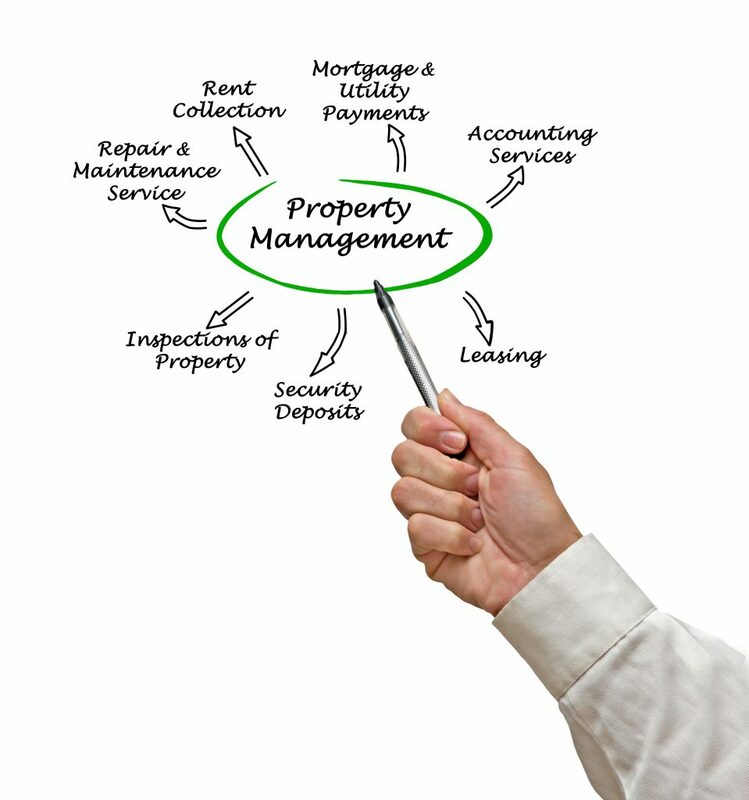 After all, property management will always involve the management of a physical property. While it is true that property management will always involve dealing with people and the places they live, and while that implies the use of a skill-set that is to some degree independent of technology, the field of property management has certainly been affected by technology and the internet. 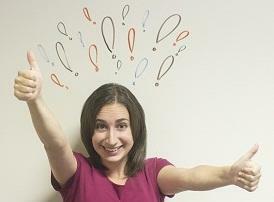 Here are some of the ways the field of property rental management has changed over the years. For those looking to break into the field of real estate or property management by acquiring an initial property or by expanding their current portfolio, the process of locating a property has been made more efficient by the internet. While many property managers will tell you that there is no replacement for scouting out properties in person, there is no doubt that the internet is now utilized by many to find properties. Online search engines allow property managers to search for properties and filter their search by variables related to size, price and location. The process of managing property has also been affected by technology; specifically, many property managers now use property management software to assist them with the many tasks involved in managing their tenants and properties. The software allows things like calculating payments, collecting payments and paying bills to be done automatically. Previously, these tasks would have taken up a considerable amount of time for a property manager. The software frees them up to focus on other areas of their business. Web-based or On-premise Desktop Based? We used to get asked why the Tenant File is not in the cloud … it seems there are hundreds of property management software programs doing that, so web-based must the the next great new thing, right? No. Well, now we get lots of calls from property managers that are sick and tired of the ever escalating and unending monthly fees, downtime, and the high security risks. So I wanted to address how the Tenant File is doing . . .
Additional posting fields were added to the POST RENT INCOME section, the screen that allows you to quickly post rent income from a large number of tenants very quickly, or just to post a few rents as needed. Additionally, this screen enables you to create a bank deposits for the rent posted, post management fees, post late fees received, and add another payment for any income account in the chart of accounts. You can even write a check to your own company for management fees posted. The Tenant File now allows you to have up to 6 different RECURRING FIELDS for charges that are in addition to the typical rent posting, management fee posting, and late fee charges. The recurring field amounts are kept in the Unit Information for every rental unit. Additional Reports were added to Version 8, such as the Ledger Balances Current (Compact), Owner Audit Report, Owner Profit and Loss Report, Owner Invoices , Late Rent/Late Fees Due , Security Deposits Receipts Posted, Tenant Balances Aging Report , Tenant Rent Payment Summary , Register – All Bank Accounts , Property MTD/YTD Summary, Company Profit and Loss Report, Tenant Balances (Range) , Owner Vacancy Listing , Tenant Delinquency By Owner – just to name a few. The new Security Deposit Disposition Screen allows you to easily take care of the deposit postings when your tenant moves out. The Tenant File now supports any number of Automatic Rent Increases, for any rental unit, and for any date in the future. On the screen below, you simply select the rental unit, enter the amount and date of the increase, and the program will do the rest. Automated Late Fee Postings were added with release of the Tenant File 8. It allows you to set the late fee individually for each tenant separately in the Tenant Ledger under ‘Setup/View Fees’. So, if you charge late fees differently for different tenants, you charge DAILY LATE FEES and you want them to be automated, or if you simply want a hands off’ method for late fee posting, this method is for you. Upload Vacancies to the Web – Version 8 entitles you to a no obligation ONE YEAR subscription to RentalWIZ, which provides you a free web page branded for your company, uploads to other Internet rental sites, and more! If you have an older version of the Tenant File and are ready to get back to running your property management business in your own office, you can order the Tenant File update and STOP paying monthly fees for your own software. If you have never had the opportunity to try the Tenant File DESKTOP Property Management software but have been looking for a reliable desktop software program that has been on the market for over twenty years with thousands of happy customers, click into www.TenantFile.com to review our program. The Update purchase includes a month of free phone support to assist you with familiarizing yourself with the software while new purchases include two months of phone support. Plus, users have the ability to use the WEB SUPPORT Ticket System that will continually provide answers to all individual questions at no additional charge. We know that you will be happy with how smoothly and simply the program will take care of all of your property management needs – right from your own computer. Most warnings and media stories about scams on rental listing sites such as Craigslist focus on helping renters avoid scams, but landlords and property managers are often targeted as well. Here are some of the most common ways in which property managers and landlords find themselves getting scammed — and how they can prevent it. Learning how to avoid scammers is critical to your success. These scams involve real tenants actually signing a lease agreement and moving in – only to invent an excuse for a lawsuit. This could be failure to provide lead paint documentation or really anything that sounds scary and serious. Even if the tenants eventually lose the lawsuit, they can still often live for free while the landlord deals with the suit. Court may put a stay on any eviction proceedings until the lawsuit is decided. Impostors often will pose as renters who agree to pay a security deposit and rent without viewing the property. Then the impostors send fraudulent cashier’s checks in excess of the stated amounts and request that landlords return the overages. After sending a “partial refund,” landlords learn the up-front payments were counterfeit. Publish limited information on the internet regarding yourself and your properties. Post the intersection instead of the full street address. Serious prospects will call, giving you the opportunity to conduct a phone screening prior to divulging sensitive information. Never use your cell or home phone in your rental ads. Consider free options such as Google Voice to receive calls on your cell phone without giving away your true phone number. Always conduct a preliminary background check via telephone prior to showing the property. Scammers will be uncomfortable answering many questions. When doing a more complete screening after showing the property to an interested tenant, be sure to verify their employment, income, credit history, criminal background, and court history. If they have ever sued a landlord, keep searching. Watermarking your pictures is one way to prevent picture theft. There are a number of watermark software programs and some free online versions. Do some research to choose the appropriate one for you. 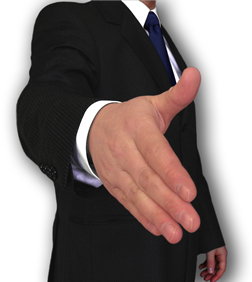 Tenants.com has been making big inroads in the Internet buzz world. They have been consulted by Realtor.com and Trulia.com for opinions and articles that affect tenants. They also have valuable information for landlords. Now, they have just released a new eBook for landlords called “What ALL Landlords REALLY Need to KNOW“. This 30 page eBook is full of helpful information for landlords, property managers and owners of rental property. We liked it so much that we have provided a link so that we can share it with the Tenant File social media followers. To get the eBook, just click on this link. 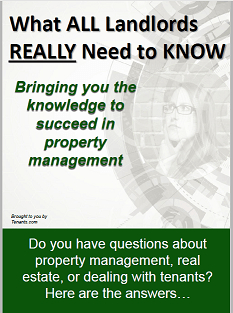 When we come across helpful information for property managers, we want to share it, and hope you will do the same. As a property manager, you wanted to stay with the latest cloud technology, so you trusted your valuable data to a web-based software company. This scenario could be your company, it is real, and could happen in the near future. 8:00am – Everybody is calm, laughing and enjoying their first cup of coffee. Computers are glowing with the dashboard of your web-based software. As a property manager you are experiencing just a normal work day. 8:05am – Suddenly all computers show a screen ‘NETWORK NOT FOUND’. No problem, soon it will be back up, just reboot your routers. 8:20am – This is becoming annoying, the computers are still not booting up to the Internet, so nobody can log into your property management software. 9:00am – Tenants are starting to call, they cannot process their rent payments. Still no Internet. 10:00am – The first owner calls and complains that the owner portal is down. They need the data for a meeting. Owner payments are due today. 11:00am – More tenants are calling, some are requesting emergency repairs. 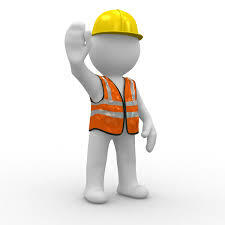 Work Orders and repair request are all handled by the software, which dead. 12:00pm – You have 5 office employees on the clock that are sitting around waiting for the Internet to return. Things are getting worse by the minute. 1:00pm – Everyone is watching the TV. There has been a major Internet disruption due to a cyber attack. No word on restoration of services. 2:00pm – No work has been done since early this morning. You have already lost productivity, plus tenants, owners, and vendors are lighting up the phones with complaints. 5:00pm – No answers, no work, employees go home … you’ll have to get everything caught up tomorrow. The next day – The cyber attack has spread, servers are down all over the country. You still need to pay all employees to come in to field phone calls from angry tenants and owners. You are having to call vendors to send them out for repairs, but you cannot process their payments. They are not happy. Tenants are being told to bring in their rent payments in person, but all transactions have to be recorded into a spreadsheet for transfer into the cloud property management software sometime later… if at all. The third day – No change. You are losing money right and left. Your business cannot do anything but take calls and promise you are doing everything possible. No banking, no property management, a total disaster. After that – total panic. Your business is totally down. You don’t have a backup of your tenants, owners, or vendors. You call your web based property management software company for hours and cannot get through. Once you get to speak with someone, they tell you their server has been part of the attack and they cannot promise that anything can be restored. Your business is in deep trouble, this could take weeks to restore if ever…. Is this scenario possible or just a scare tactic? Ben Lawsky, head of New York’s Department of Financial Services (DFS), said he fears a large enough hack on Wall Street firms could “spill over into the broader economy” — not unlike the mortgage meltdown of 2008. Think about the breaches in security at Target, Home Depot, Amazon, Staples, JP Morgan Chase, Yahoo, Apple, Google and hundreds of supposedly well protected sights. They are getting worse, not better. No company is safe from this, no matter what the software vendors tell their customers. You are probably using the software as SAAS (software as a service) which simply means monthly payments. That can be cut off at any time. Your data can be inaccessible at any time if the Internet has a problem. That means your entire business could at risk. Our own national security experts are warning about an impending cyber threat coming from other countries that would target critical USA infrastructure systems. Adm. Michael Rogers, The director of the National Security Agency, told the House Intelligence Committee he expects a major cyber attack against the U.S. in the next decade. “It’s only a matter of the ‘when,’ not the ‘if,’ that we are going to see something dramatic,” he said. If you think your web based software is safe, think again. Even if you are able to make regular backups from your server, the effects of an Internet shutdown would be devastating to your property management company. You have been entrusted with the most valuable information from your tenants, your owners, your vendors, and all of the companies that you do business with. You might want to think about that before you put everything in the ‘cloud’. The best way to not have to worry about collecting late fees from your tenants is to avoid them in the first place. Because a tenant has a great personality, regularly goes to church, or is a distant cousin doesn’t mean they won’t fail to pay the rent on time. So don’t skip the tenant screening to find out how well the prospective tenant paid his last landlord. One of the best deterrents to avoiding late rent is to have a policy that is clearly stated in the lease. Outline when the rent is due, when it is late, what is the late fee, when does it start, and what actions you will take if the rent check bounces. Be sure to include any exceptions, such as an allowance for holidays and let the prospective know that no other exceptions will be made other than the ones outlined in the lease. Sometimes incentives can work just as well as deterrents for rent collection. Consider including an incentive in your lease that rewards the tenant for paying on time for a year, and include the reward if the tenant renews the lease for another year. Of course, there may be understandable reasons that you would break your own rules as in the case of the death an immediate family member, but don’t fall for unsubstantiated excuses .Once you have allowed a late rent without penalty, your tenant may try to get away with it a second or third time. Other tenants may even hear about the exception and try it themselves. Be firm and require the reason in writing. You might get a call a few days early saying that work is slow, or financial problems are adding up. This is a red flag moment. You might want to suggest that your tenant shouldn’t add to their problems by getting a bad mark on his (or her) credit score by having a late rent added. That statement alone might avoid a late rent situation. The call may be just to ‘feel out’ how firm you will be about the late charge and further action, so be sure to state that you will follow the terms of the lease contract. If nothing else works for rent collection, you might need to post a ‘Notice to Pay or Quit’ telling the tenant that legal options will be enforced unless rent is paid immediately. Hopefully, you won’t have to evict, but the tenant will be well aware of the inevitable consequences of their actions. As a property manager, your website is important for all kinds of things. Not only can it showcase what your property has to offer for those looking for a new place, but it can also be a resource for your tenants to take care of their property needs. Depending on how you set up your website, your tenants will probably be some of the main users. A lot of property managers use their websites as portals for residents to pay rent, check any balances they may have, and put in maintenance requests. Using your website for this purpose is great because it’s quick and easy for both you and your residents. Your website is a great way to showcase what your property has to offer to those who are looking for a new rental. On your website, you can post pictures of what the property looks like, with floor plans and more pictures of how different units look. The internet is the first place people turn to when they’re looking for anything, so you want to make sure that your website makes a good first impression. Put as much information on your website as you can people can know about the property and not have to be reaching out to you over and over again with the same questions. Keeping your tenant happy is a huge part of being a good landlord, but even more important is keeping them safe. Because you’re going to have a person living in your home, you want to make sure it’s as safe as possible so that they feel secure living there. Don’t think that we’re suggesting that you need to implement a maximum security system in your property, just make sure the property is equipped for safety the best you possibly can. A good place to is with windows and doors. Make sure that all windows can be locked properly and cannot be opened from the exterior of the home. Do not make it so that the windows cannot be opened at all, because that in of itself is a huge safety hazard. Make sure that all doors have locks that work and that your tenant has copies of the necessary keys. If your property is one where there are multiple roommates living together, you may want to install separate locks on each bedroom so that each roommate can feel more safe. Make sure that smoke detectors are in working order and that enough are installed in the home. If you only have one smoke detector in the home, it won’t be as effective in alerting your tenant if there is a fire. Also on the subject of fires, make sure that your home has a working fire extinguisher so that your tenant can take care of small fires if they happen to occur. Aside from the aforementioned safety measures, there are a few other things you should check on in your home. Inspect any floorboards and railings to be sure that they are in tiptop shape and do not pose any safety hazards for your tenant. A lifted floorboard may not seem very serious, but it can cause a problem if your tenant trips on it and hurts themselves. If you plan properly and take the right opportunities, expanding your property management business is not difficult to do. With summer slowly winding down it’ll soon be time for your tenant to move out of their summer home, meaning it’ll be time to prepare your rental for the next seasons tenants. Since you’ll probably rent out your property again in winter (it is a seasonal rental, after all! ), chances are, it’ll stay empty for at least a couple of months. 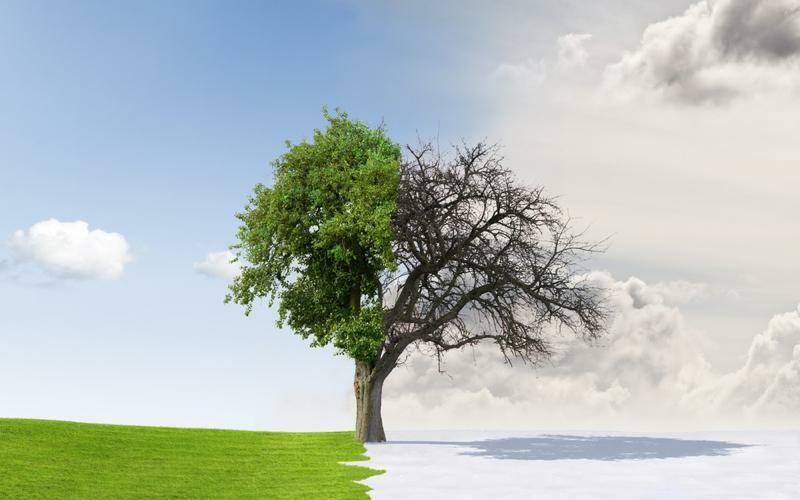 Because your home will be used in two very different seasons, it’s important to make sure you prepare it properly after your summer tenants leave. What should you do? Clean the gutters! With all the flowering plants and leaves from spring, plus the rain from summer, your gutters are probably more than ready for a cleaning. This way, once the fall leaves start falling and the winter snows begin, your gutters won’t be clogged up. Check that there are no leaks caused by summer storms. Sometimes the more harsh summer showers may cause leaks that go unnoticed for months. Inspect your roof and see if there are any problems that need fixing, also be sure to check ceilings for stains that may indicate a leak. Fixing leaks now can help you avoid even bigger problems when it starts snowing. Landscaping. If you have seasonal plants that you’ve noticed may have not made it through summer, switch them out for other plants and landscaping decor that’ll fit with the next season. Change the A/C filter! With the heat, your tenant was probably keen on using the A/C often. Change the filter, and give it a tune up so that you know the unit will be working well. This will also help to ensure that the heater function will be working for your winter tenants.